Driving over-the-road and getting there in less time requires confidence, and nothing gives a driver more confidence than solid front-end protection. 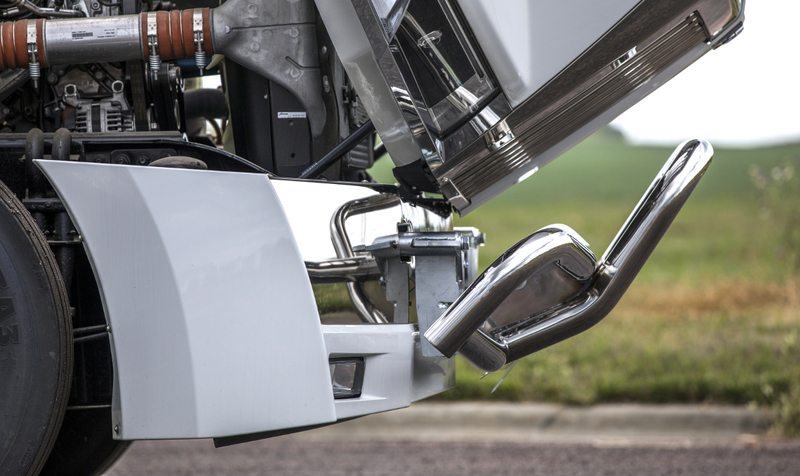 The Tuff Guard II™ was designed and built to provide dependable front-end strength and a professional finishing touch on your semi or heavy-duty truck, featuring rust-free construction, a convenient fold-down design, three finish options and a no-drill installation. The Tuff Guard II™ grille guard has a unique overlapping design that gives it a significant boost of strength to protect your truck. 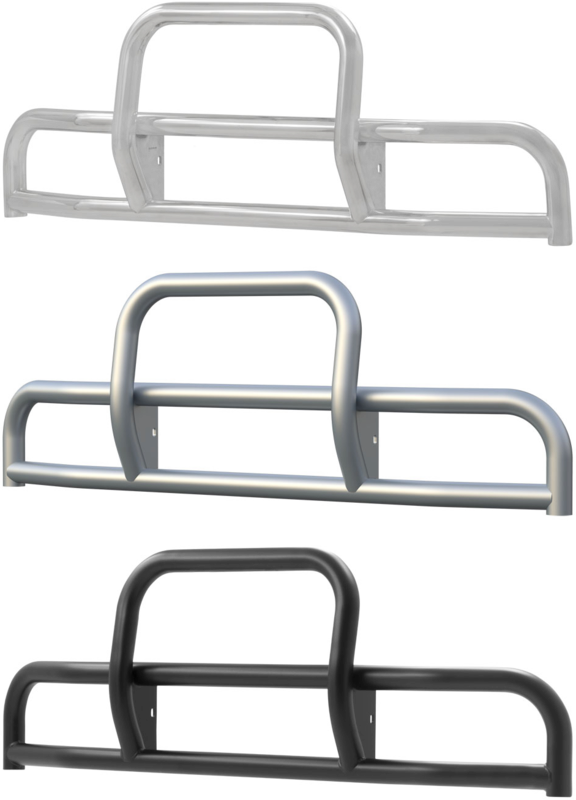 The double-stacked horizontal tubes span the width of the vehicle, providing a protective brush guard for the bumper. 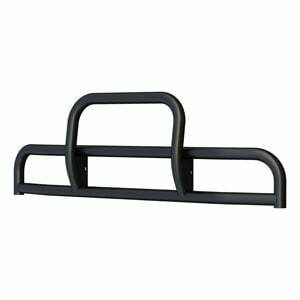 Meanwhile, the center brush guard is made up of a single bent tube that overlaps the upper horizontal tube and is welded into place for maximum strength. The overlapping design also adds a stylish touch. 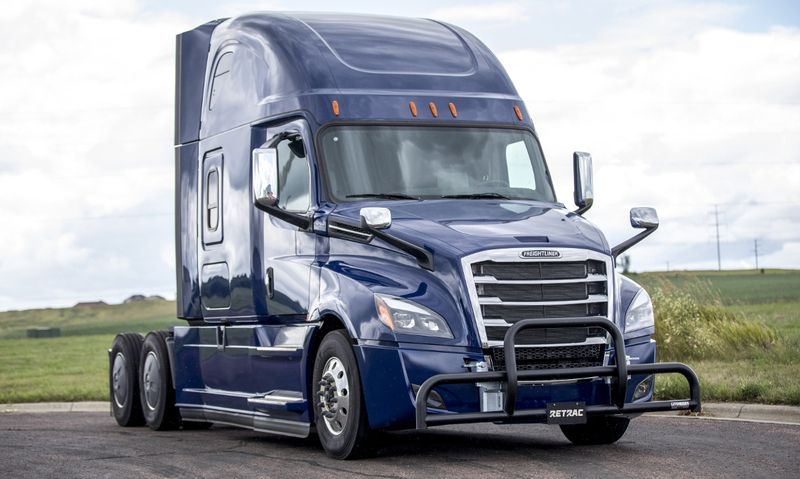 The tubes are built from 14-gauge stainless steel and feature a heavy-duty 3" diameter to suit heavy-duty trucks and semi tractor-trailers. Professionalism is key for your business, and the Tuff Guard II™ is designed to uphold and enhance that professional quality on your vehicle. Each one is built from stainless steel, making it resilient to rust while ensuring reliable strength. The Tuff Guard II™ is also available in three finish options, all of which feature a rust-resistant stainless steel construction. 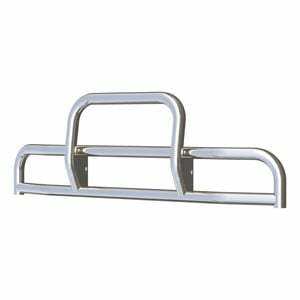 The polished finish offers a bright, mirror-like shine on the front end of your truck and is perfect for complementing polished or chrome mirrors and other accessories. The textured black and silver powder coat finish options offer maximum corrosion protection, and they provide a sleek look that easily resists scratching and chipping. 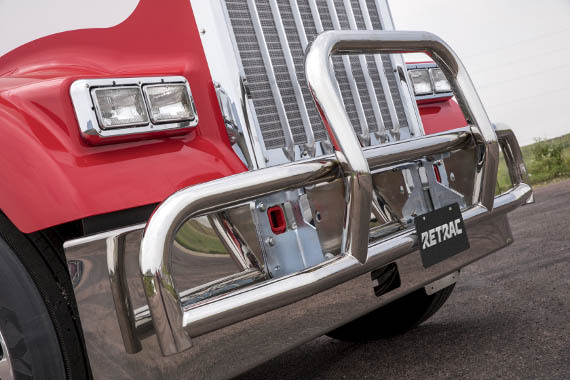 The Tuff Guard II™ is chiefly built to give your truck solid front-end protection. However, it is also engineered with maintenance in mind. Each grille guard features a folding design that allows it to pivot on its mounting brackets and fold down and away from the grille, providing easy access to the hood and engine compartment. The Tuff Guard II™ grille guard can be mounted with our standard latch system or with our patented MagLatch™. 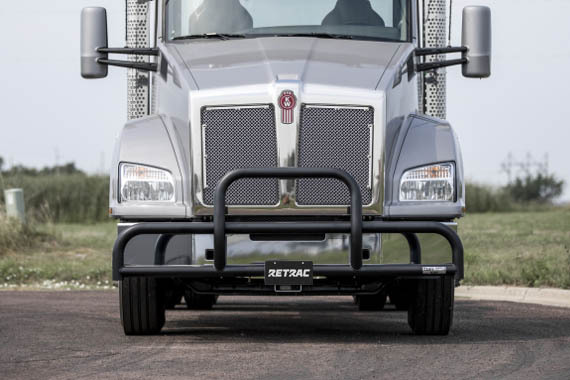 The MagLatch™ system features rare-earth magnets and an extra safety retainer pin to securely hold the grille guard in place in the upright position, while also allowing it to be easily folded down whenever needed. Installing the Tuff Guard II™ couldn't be easier with a vehicle-specific bracket kit for each application. Vehicle-specific brackets allow the grille guard to be installed with a custom fit without requiring holes to be drilled into the truck frame or the front end to be modified.